Is this all I need for a successful dermarolling treatment? 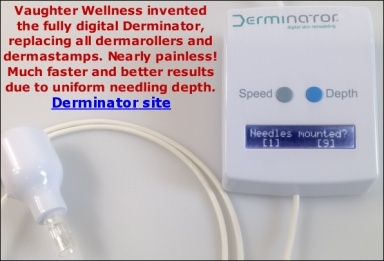 0.5mm dermaroller <--- to be used once or twice per week? My skin is oily and acne prone so I'm kinda worried that Infadolan may increase the risk of acne breakout. Any advice on this? Also, should I stop using toner and cleanser that contain salicyclic acid when under dermarolling treatment? Last but not least, can anyone link to me to some good instruction video on how to use dermastamp and dermaroller on face? I already read the pdf instruction but it would be nice to see someone actually use it. Awesome, thx for your helpful reply. Re: Is this all I need for a successful dermarolling treatment? hi,i never apply any moisturising cream on my skin as it triggers acne.So can i apply benzoyl peroxide cream on the dermastamped skin.If not please suggest any alternative.